Erica Gore has certainly become one of my favourite preteen writers. Having read some of her Taya Bayliss books, I was interested in the new Gummshoe series and it certainly does not disappoint. This will be a review lacking favourite bits and quotes, as Gummshoes is a detective story and spoilers are the last thing I’d want to give you. 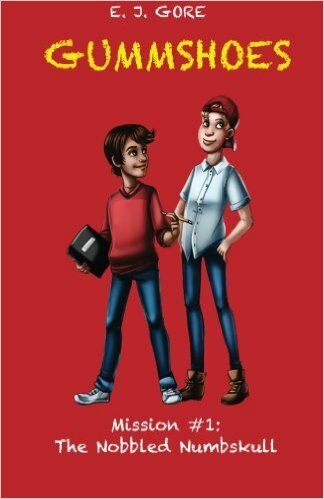 But have no doubt – kids will love reading this short, intense mystery tale with a positive message. Erica Gore has once again managed to write a clean and fun read, incorporating bullying, family issues, sports and geeks, teenage crush and proper friendship into one. The characters are easy to picture (Olly is my favourite for now) and relate to (Frankie in the library reminds me of some children). Although the language is not too complicated (in fact, perfectly balanced for this age group), the author never underestimates the readers, providing them with dialogue, descriptions, sounds, smells and feelings which will draw them into the story just as effectively as in the Taya Bayliss series (if not better:). The Perfect Plan in the end brought a huge smile on my face, as a mother and a teacher, and I will definitely be recommending this teen detective story to my friends and students. This review will also appear on the Readers Review Room, awarding the story a gold bookworm. Talk about coming across that perfect book at exactly the moment you need it! I started it yesterday and finished this morning. 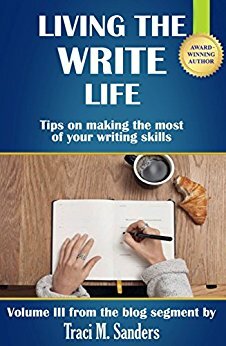 I had been following this author’s blog segments on writing before this book was published, and eagerly awaited to see how the entire book would turn out. It makes me so content to see it is even better than I could have hoped. Not only is non-fiction difficult to write in an interesting and palatable way, but it is almost impossible to preserve a friendly, personal voice which is easily readable, non-preachy and thoroughly appealing. Whether you are already a writer or hoping to be one, or simply a person with dreams trying to set definite goals into motion, this book will give you inspiration, motivation and even lists of practical, applicable advice on how to turn dreams into doable plans. Aspiring writers should definitely check it out! The format is clearly laid out, so you can easily go back to the tips you liked or need to ‘revise’, but what appealed to me was the personal touch throughout. I recognized myself in plenty of situations, tackling family, work and author aspirations. I have learned some things while reading, some have been put into the right perspective and with some, realizing that I am not the only one battling such creativity-driven ‘symptoms’ and side effects was assistance enough. The author offers lots of advice, supported by quotes, experience and research, but her goal is not to preach or criticise, but clarify, compartmentalize and encourage. We all need pep talks once in a while, and this certainly is one. Some may expect more numbers and data, but for me, there is just enough ‘maths’ here to support my art. Learning to differentiate critique from criticism, and turning dreams into plans is certainly something all of us could benefit from, regardless of our age, profession and origin. Congratulations to the author. The issue of abuse has long been one Neil Douglas has been fighting against, so no wonder his book The Railroad covers the same topic, relevant as much as it is uncomfortable. 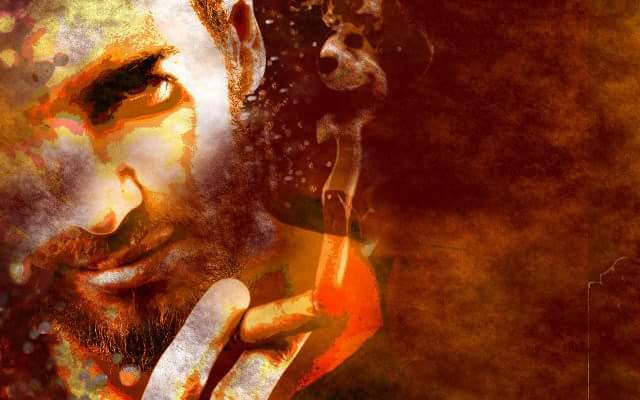 Brutally honest, Neil discusses his characters, himself and the topic here today. Several years ago I wrote a book, “The Railroad” which is full of difficult characters. To my surprise, when I began to put the ideas together for this blog, I realized that I couldn’t think of one character from the book that I truly loved. Our host, Anita Kovacevic, suggested that being annoyed can be part of loving someone, a relevant part that can’t be avoided. To paraphrase some Billy Joel lyrics “You can love someone for the rest of your life but you won’t want them every day”. And that brought to mind the fact that my distaste for my characters is because they are all damaged and show it, liberally. Can you love and should you love people who are upsetting because they can’t help themselves? There’s a thin line between damaged and self-indulgent and my characters seem to lean in the latter direction. But in fact, the effects of PTSD and exposure to extreme trauma are well documented. Before you can find your way to the light, you have to spend a lot of time stumbling around in the dark. How many real people who have taken this journey are called heroes? So should people who are in the midst of that noble process be considered purely annoying or heroes in the making? Can we say that people that are damaged aren’t deserving of love? The story was inspired by 911 or my experience on 911. There is no way to say that without sounding dramatic but the true inspiration for the book was the fact that I spent half an hour in the subway in New York as the towers went down. The main character, Mike Dobbs, had this same experience. Unlike me, he ran away from his New York City life and became a reclusive alcoholic. Due to his experience he became self-absorbed, angry, sarcastic and very difficult. At the same time he grapples actively with his demons and tries to figure himself out. He also becomes willing to take on the lives of two other damaged people and offers them some measure of security. What he needs more than anything is love. And perhaps he deserves it. One of the hard facts you learn in New York City is what I like to call the attractiveness paradox. Homeless people are everywhere, asking for money. Except, the ones who are so messed up that they can’t form the words. At some point it occurred to me that the people who were in the best shape and had a good patter down were much more likely to get money. And the people who are sleeping on the ground or are bloody from having fallen or gotten into a fight get nothing. I once met a beggar who, after being outed by a woman working in a restaurant, admitted that he had an apartment in Queens. 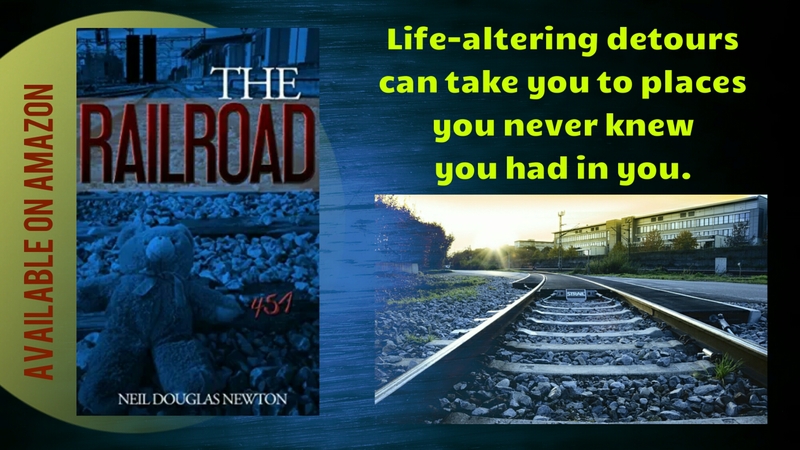 What is worse is that I wrote the Railroad with the intention of shedding light on the plight of people with PTSD and victims of various types of abuse. The reality of 911 loomed so large for all New Yorkers and the rest of the world that it couldn’t be ignored. And that gave rise, in my mind, to other characters that were absolutely devastated in the same way; victims of abuse, victims of fractured families. The feeling that nothing might ever be right again is not something that everyone has experienced but it is more common than many people would like to believe. I have found that a surprising number of people have berated me for bringing up and describing in some detail the aftermath of scourges like child abuse, the implication being that I was abusing them by bringing up the subject. I have taken issue with this several times. The fact is that there are millions of people who have experienced a sense of true helplessness and it has taken its toll. So it is a bit humbling to realize that I am not fond of my poor characters; I have to wonder about my own morality. As a society, we are intolerant of people with difficult problems because it’s too annoying grappling with their problems. Most of us feel that going to work every day and supporting our families is more than enough and reaching out to people who are already tough to deal with is not their burden. So what happens to those who are broken through no fault of their own? I carry a few scars from 911, some physical and some not. And I have, with great horror, read multiple stories of first responders who woke up one day and found they couldn’t leave the house or live effectively from day to day, the result of PTSD. And then there is the poster child for 911 PTSD: The Dust Lady. This woman was photographed wearing her business outfit, covered in a thick layer of the dust that was created by the fall of the towers. After that day her life imploded; she quit her job, rarely left the house and eventually became addicted to drugs. And, insult added to injury, shortly after she finished rehab, she was diagnosed with cancer. Marcie Borders died in 2015, fourteen years after 911. And so, can I love my character Mike Dobbs? 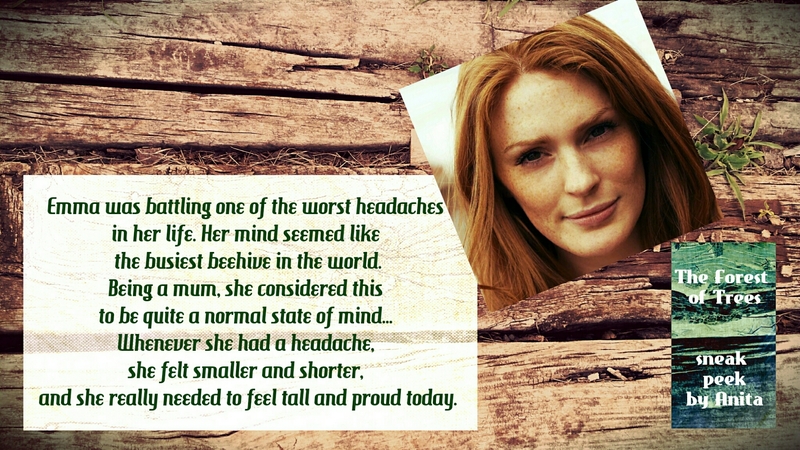 Can I love the mother and daughter he takes in, both running from an abusive father? Can I love Steve Moskowitz, a lawyer who lived through his sister’s anti-social behavior that ruined his family? The most awkward character in this scenario is me. Perhaps I see too much of myself in these creations of my mind for me to feel comfortable with them. For me to resolve this question, I need to go back to see where all these characters came from and I suppose this applies to characters that people love as well as those that are annoying. Where do they come from? Mike Dobbs is, for the most part, me. He is an IT professional, he is from New York City; that’s enough. So, do I love myself? Well if any of those of you who are reading this can figure that one out, I will pay you.  In many ways, Mike Dobbs is a much bigger jerk than I am; he’s an inveterate Yuppie, he is a conspicuous consumer and he is not at all aware of anything beyond his success in business. But I have to ask myself how I would feel if I met him, post 911; would I be able to hold my hand out to him to try to help him? Or the other characters. While I haven’t lived up to this high bar, I feel that the answer has to be yes. Our history is full of people who’ve gone past their comfort zone to help people who need help. Oddly, despite the fact that I’ve written this book, The Railroad, to make a point, that same point is something I also have to accept, as well as my readers. But beyond that, the high road, as it’s been portrayed in scripture and philosophy, demands leaving your comfort zone to extend a hand. I made the commitment to write the book for this very reason. So I will try to make the full circle. I will return to 911 in my mind and forgive myself for my reaction to it, the fear it instilled in in me, my desire to run away and my anger. And I will try…and I have to emphasize the world “try”, to love my characters. Neil has started a project to help abuse victims, with an open invitation to all willing to share experiences and help, especially with music. It is called Abuse Nation. He is currently working on a fictional novel based on the life of Nikola Tesla. There are few things in life I look forward to as much as springtime. 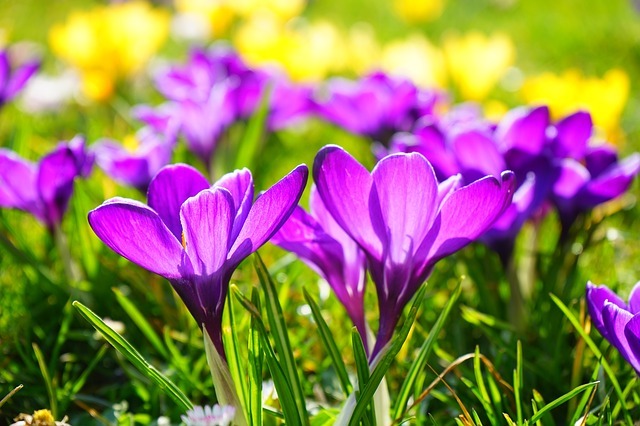 Not wasting words today… just wishing for spring. Margaret Ann Loveday is an Australian author I met through a Facebook group. She always has a positive message to share and delights all with her Threads of Love posts. I simply love her inspirational nature and photo posts. 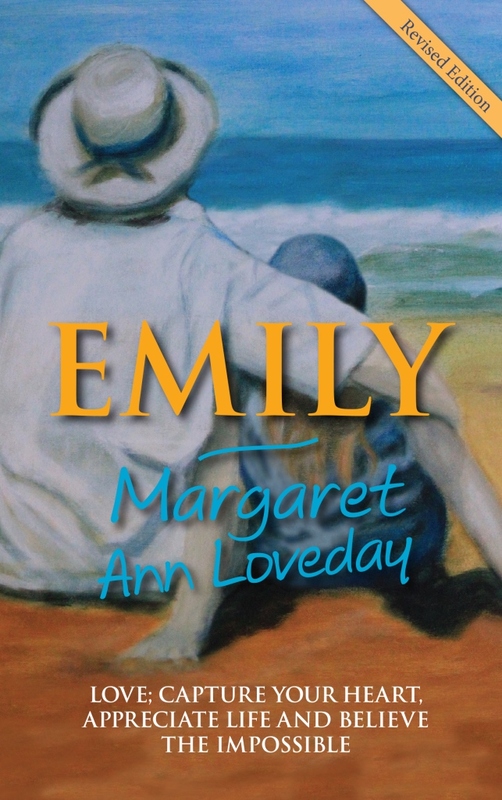 Today she tries to decide who her favourite character is in her novel Emily. How can I choose just one, they have all grown close to me, even the dysfunctional ones, (who, by the way will be redeemed in a future book). Would it be Great Grandma Ruby, who fights for Emily’s right to life, and raises her on love and good old fashioned values? What about Emily, the heroine, with her charismatic personality, who is adored by everyone except her parents? I know! It will have to be Dimmy! A loving partner to Nick, they co-own, the Wildlife Park that draws Emily into their lives. Dimmy is passionate, strong, intelligent woman with an enquiring mind. She has been through some very emotionally traumatic times, her body and her emotions suffering much, from the injuries she sustained. The Post-Traumatic Stress took time to overcome, she gradually returned to health with the love, support and patience of the people around her. Emily becomes the pivot that enables Dimmy to finalise change and to love and let go of past hurts. Dimmy is an interesting character, who taps into her sixth sense, or as she puts it herself, ‘a knowing’ a pre-empting of circumstances, that Nick doesn’t understand, but Emily, does. Dimmy and Emily as their relationship develops we find, they are connected in more ways than one. This has truly turned out to be an interesting series, with some more authors still to come by the 28th of February. I am grateful to all my guests and their readers fans who are quirky enough, just like I am, to love (and hate) book characters as if they were real. Well, they are, right;)? There is a work in progress which has been lying in my writing cupboard for a while now. 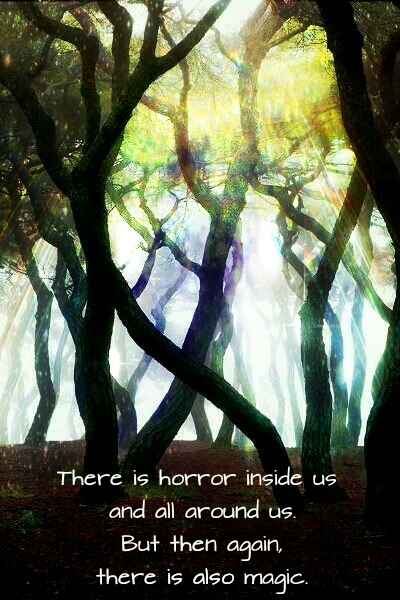 It only needs the final edits, but it is has taken such a large chunk of my life while writing it, and when it was finished, and read by several beta readers, I realized it is such a highly unusual blend of a children’s fairytale and adult horror that it might not be publishable. So I set it aside. However, the more it waits, the more convinced I am that it is meant to be what it is, just as it is. What is more, several beta readers have asked me about it, my loved and hated characters from it visit me from time to time, and too many things in all areas of my activity pop out unexpectedly to remind me of this novel. Yes. 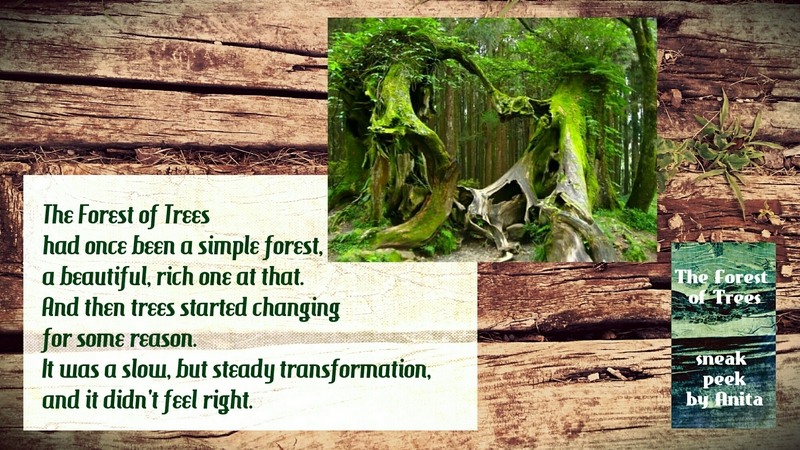 It is time to enter the Forest again. Absolutely. 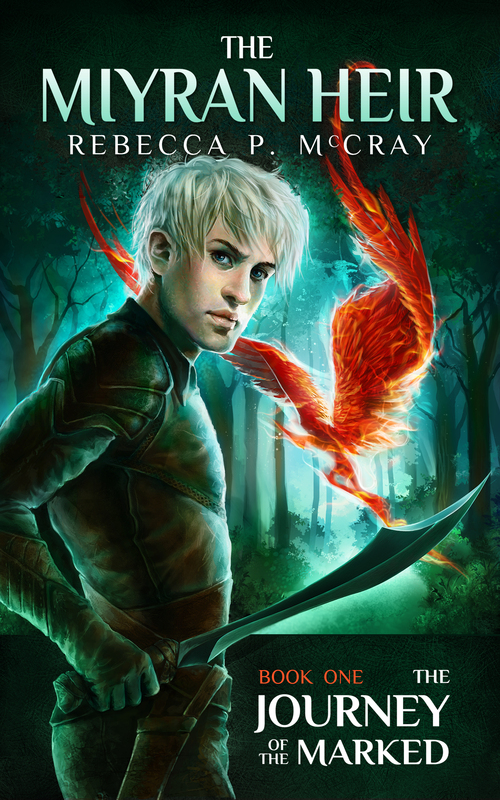 One of the wonderful authors I’ve met and had the privilege of working with on the Awethology is the fantasy author Rebecca McCray. She is right – it is definitely difficult to pick one as a favourite character, but I am glad she tried. When Anita asked me to pick one character, I knew I would struggle. I love all of my characters for various reasons. There’s Tip, the comic underdog. Natal impresses as the likeable bad guy. Then, of course, there’s Prizene, the stereotypical beauty queen that wants nothing to do with the stereotype. For me, Kenrya from the Undergrounders stands out. You meet her in chapter one as she debates whether to let another sixteen-year-old be killed by those hunting him. Her self-preservation instinct overrides her compassion. She’s a survivor, haunted by her past. Throughout the Journey of the Marked, Kenrya frequently reacts with anger or frustration. She dismisses weaker companions as unimportant. Her irritation with these individuals nearly costs her life, yet she struggles to trust. And then, of course, there’s the smell…. So, why would she be a loved character? She’s resilient and a fighter. An abusive childhood shaped her. Despite not being able to shake that past, she sought refuge among an admirable group and contributed to their cause. She learns from her past. For example, when she encountered a traumatic situation, she sought education to prevent it from happening again. I admire her strength, her ability to overcome adversity, and her unwavering confidence in herself. She’s not unlike some of the strong women I’ve known in my lifetime and I respect her for that. As the series progresses, I look forward to watching her evolve. The Reacher Series by LE Fitzpatrick is a splendid mix of thriller, dystopia and paranormal. 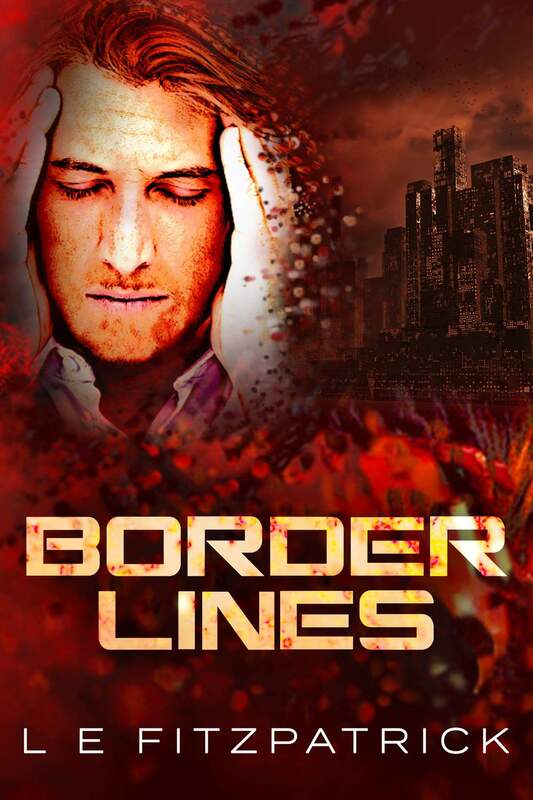 Having relished the teaser short story Safe Haven and the first book in the series, The Running Game, I am looking forward to reading the sequel, Border Lines. Delighted LE joined this February blog series with her favourite character from the Reacher novels. The afternoon daylight whipped at Roxy’s eyes. His tuxedo was scarred with debauchery and torn at the sleeve. He scratched at his mop of yellow hair and scanned the bleary faces around him. Despite the hangover, the vomit stains over his trousers, and his missing socks, it had been a very profitable night. He was poor of pocket but rich with information. He fished out a packet of liquorice cigarettes and ran one under his nose. Breakfast; the most important smoke of the day. He checked his phone as he meandered down the street, looking for an update from his beloved mother as she recovered in hospital. The burns to her arms and legs weren’t as bad as some of her girls, but broken pride was difficult to mend. She’d left him just one message, some filth about one of her doctors. Roxy sent a quick text back, telling her he was close. James “Roxy” Roxton is the outcast of the series. He’s a character wedged between the bad and the worse, double-crossing wherever he can. 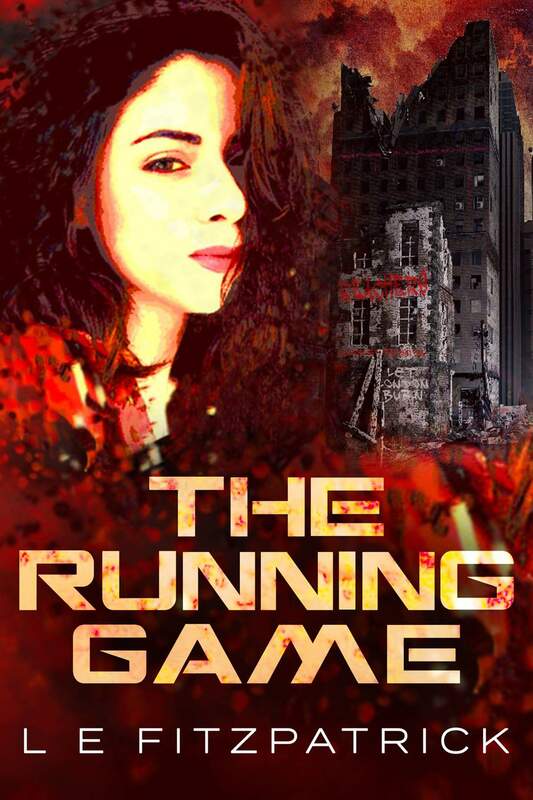 When he first appears in The Running Game he’s hunting down the arsonist that targeted his mother’s club, but his search sees him running into old allies, allies he could betray for a bigger prize. A notorious gambler, Roxy can’t deny his temptation – but this time the stakes are too high. In contrast to the other character in the series, many of which are broken and burdened, Roxy is a carefree concoction of lovable rogue and despicable villain. He’s the morning hit of caffeine after a rough night. The winning hand with an extra ace up his sleeve. And I can’t wait to show you what happens to him. Never thought I would, but here it is – my first poetry book is available on Lulu.com as of today, with other retailers soon to follow. 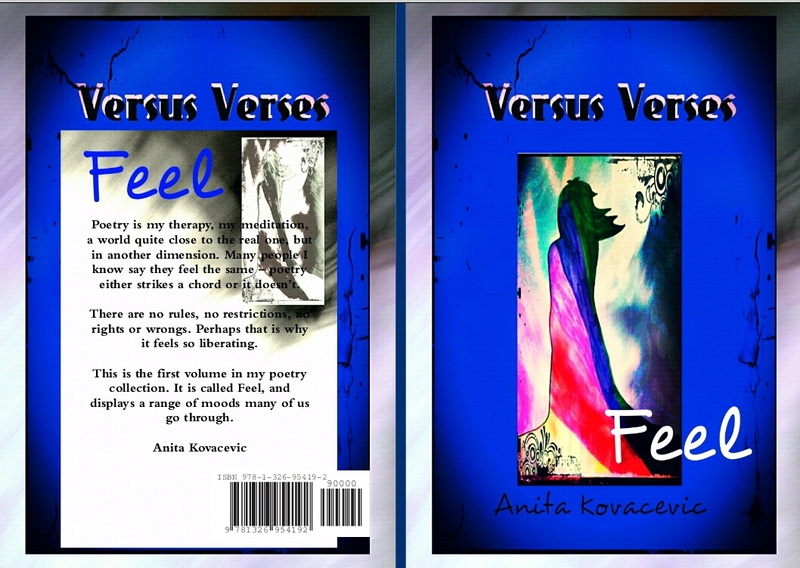 The ebook is free, whereas the paperback is also available (printing fees necessary). So if you feel inclined to some poetic meditation, the highs and lows of my emotional and linguistic playfulness, here is the link. Karina Kantas is not just an author, but also a book promoter. Combining her own creativity and the desire to help other authors, she has quickly become a well-known person in the indie community. She has prepared the following post for this blog series. Read about her favourite character. Thya is my ego. She’s everything I strive to be. She strong, loving, loyal and very powerful. She also stubborn, selfish, and very dangerous. She’s taken from her home and then told her whole life was a lie. She’s thrown into a role that she doesn’t want or deserve and then told her wedding had been planned. 1)	Becky, back before, when you were a marketing exec, did you feel like there was something off with your world? Nay, we partake in war, murders there are many strange and evil people. Regrettably, this is the norm. I had not notion that Tsinia existed. I was adopted and I loved my adopted parents greatly and I did not search for my birth mother. Now I know I would never have located her. 2) When Salco rescued you, what was your first reaction to him? Salco has a gentle temperate as do most of my kinsmen. He has intelligent eyes. I did not deliberate. I was frightened and this stranger was prepared to aid me. I trusted him wholeheartedly. 3) The people of your land are trying to forget the destruction at bay. What types of things did they do to feed this delusion to themselves? They knew that conclusion was close but they had not sadness or fear as the prophesy spoke of a Ganty that would deliver and save them. 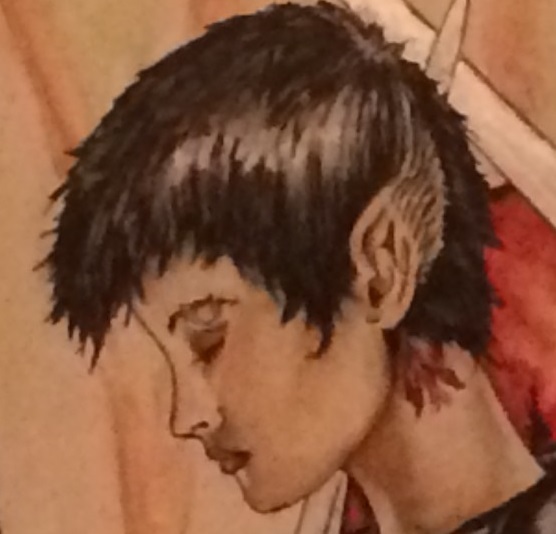 4) When you learned that you were to be betrothed to Darthorn’s son, how did it make you feel? This is on the surface, before you knew everything. Ha! How would you have reacted? I was just informed of who I was, where I originated and how superior my parents were. I did not retain knowledge of this Kovon & Darthorn and the Darkeye. Yet to be told that my future had been mapped out and I was to wed Kovon, was enough. Not one will ever command me. 5) Why is the counsel of Tsinia so certain that a union between you and Kovon will create peace? The Tsinians have existed by the codes and Oracles so when my coming was prophesied, they were uncertain how I would aid them. So, it was the council that formed the absurd contract with Darthorn. They were convinced this was the true path. Life was simple, worries and stress were naught compared to my reality. What I miss the most is the laughter of children. If you are hiding the truth from someone so it will not hurt them and remove their faith, is that a black or a white lie? That is the lie that will remain a secret. 8) Let’s be girls and talk clothes for minutes. Which outfit do you prefer: Becky the professional, or Becky from the magical world, the fiancée of Kovon? I was never his fiancé and I command you not to mention his name again or this interview will be concluded. Yes. I prefer the garments in Tsinia. They are cool, flowing and elegant. The Tsinians dress in basic sensible but somewhat dull attire, save there is a feast or celebration then you will see my Kinsmen in their finery. 9) In your magical world, your “real” world, do you have an official title? 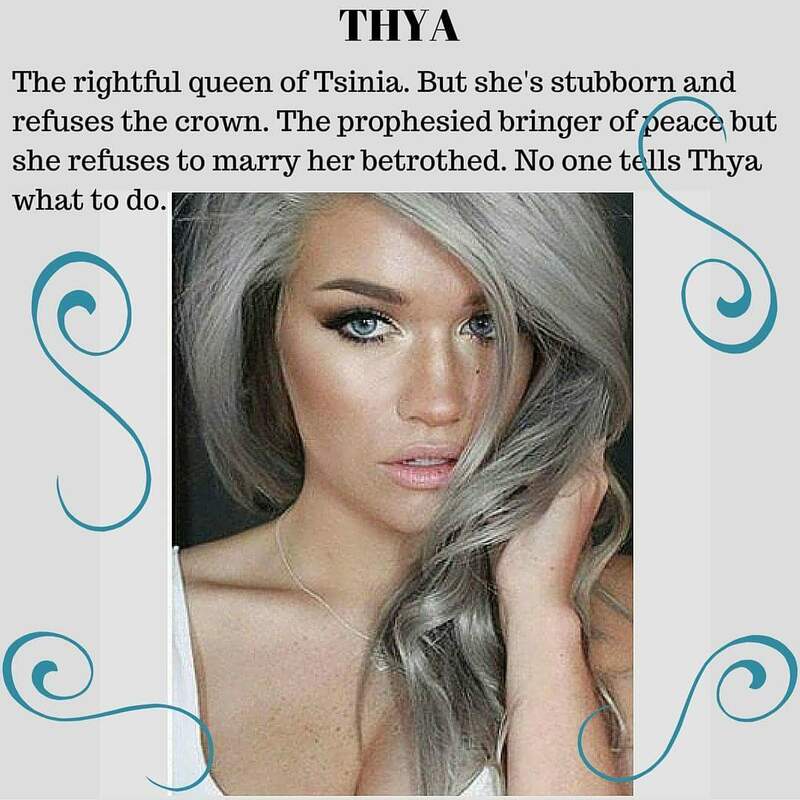 My title is Princess Thya, ruler of Tsinia, guardian of the changelings. My kinsmen address me as Lady or Thya. 10) So, I understand that there is a mystery man who you have a certain… fondness for. Without giving too much away, can you tell us what you find attractive in him? He is kind, with haunting blue eyes and his smile so tender and sweet. He understood me more than any other. He was commanding and bossy at times but all with good reason. We will conclude. Pardon, do you have a tissue? Karina Kantas originates from the UK but has lived in Greece for most of her life. She is an author of 8 mix genre titles including the MC thriller series, OUTLAW, and the high rated fantasy, ILLUSIONAL REALITY. She also runs KKantas AuthorAssist, affordable author services for indie authors and is the host of a radio show on Artist First Radio Network. Affordable author services for new and established indie authors.